Pinehurst School welcomes International students as part of our school community. International students enhance the learning environment of our school and provide a valuable cultural student mix. Our Director of International Students can assist you with the application process, we offer a full service for obtaining accommodation, student visas and travel and health insurance at no extra charge. Once enrolled students participate in a comprehensive orientation programme designed to orientate them with the school environment and our expectations as well as receiving ongoing pastoral care. International students are integrated into regular classes across Year 1 to 13 and where appropriate receive extra support in particular subjects. We also provide English as a Second Language (ESOL) teaching, either individually or in small groups during class time if required. For further information, please contact Mr Patrick Ryoo, Director of International Students. Pinehurst has been accepted as a signatory and has agreed to observe and be bound by the Code of Practice for the Pastoral Care of International Students, published by the Ministry of Education. Copies of the Code are available on request from the School or from the New Zealand Ministry of Education website. To apply please submit a completed application form, the application fee and a certified photocopy of the student’s passport, two most recent, certified school reports and references from their current school. Students need to supply evidence of all prior learning in its original non-translated format. On acceptance and in consultation with the student, students are placed at an appropriate academic level. This placement is determined by the student’s academic ability, course content previously covered and their age. Pinehurst has an established and successful association with the CAIE (Cambridge Assessment International Education programme and a deep understanding of delivering this world class curriculum from the Primary years, through to College. All our College students sit the Cambridge Assessment International Education examinations exclusively as we believe these rigorous and well-structured qualifications best serve them to become successful global citizens. CAIE qualifications are internationally recognised and highly sought after. View the current fee structure. As fees are payable in advance, refunds may only be granted at the discretion of the Trustees in exceptional circumstances. The bond is refunded at the end of the enrolment period provided one full term’s notice of leaving has been given in writing to the school. 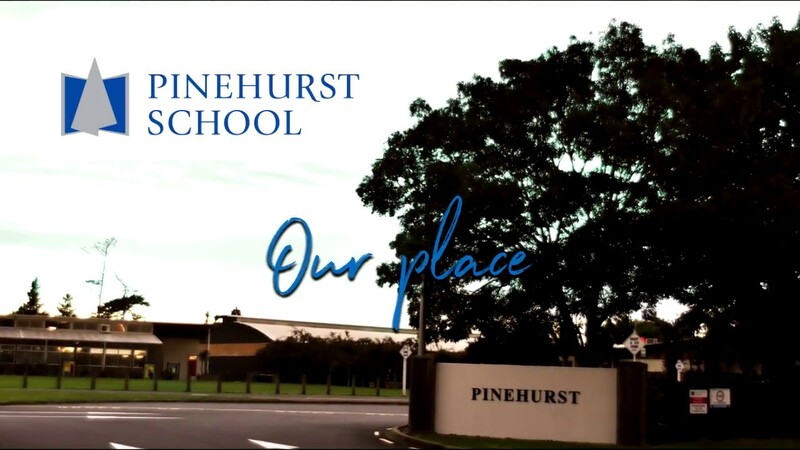 A variety of homestay accommodation can be organised through the School or if living in a self-appointed homestay, details of those arrangements must be provided to Pinehurst. All homestay accommodation is monitored by the Pinehurst School Homestay Coordinator in accordance with the Code. Please note children aged 10 and under must live with a parent to be enrolled. Costs of accommodation are varied and can be obtained from the Director of International Students. All students are required to have a current student visa to be enrolled at Pinehurst. Full details of visa and permit requirements, advice on rights to employment in New Zealand while studying and reporting requirements are available through the New Zealand Immigration Service and can be viewed on their website. International students must have appropriate current medical and travel insurance while studying in New Zealand. The Director of International Students can provide information regarding available insurance options. Tingsen (Timon) Xian was an International student at Pinehurst and graduated in 2016. "I really enjoyed the small size of Pinehurst, everyone was really nice and close to each other. At uni, people rarely say hi to each other, so I really miss the nice atmosphere at Pinehurst. I would say Pinehurst shaped me to who I am now. I remember when I was first at Pinehurst, I was really shy and barely spoke English. By the time I started uni, I had no trouble joining working groups with other uni students. I really like that Pinehurst runs A levels. I would say A levels provide a really nice foundation for uni, people who did A level in my uni usually get a higher mark." Timon is currently studying Civil Engineering with a Transport Major at the University of Sydney. His goal is to work in a government transport department like Transport for New South Wales or Auckland Transport.